In the spirit realm I seen the nation of Iran ... I seen a large like human figure clothed in armor with some sort of animal type head stooped before the nation (Isaiah 46:1) ... The Lord indicated this figure was the fallen demon "Marduk" ... The Lord indicted this fallen demon marduk is a type of arch demon over many lesser demons in the middle east area. I noticed the nation of Iran had turned into or was represented by a warrior ... armor began to develop and appear on this warrior indicating the growing military arsenal including nuclear weapons being developed by this county. The Lord said they were planning to destroy His People. This warrior (Iran) was becoming more embolden or very aggressive in their stance and hatred / rage against Israel (Saudi Arabia as well). I saw Iranian influence or future control (possible military aggression) from Iran to the north (Syria), west (Iraq) and from the south Yemen, Strait of Hormuz). (It has been reported that the Sunnis of Saudi Arabia hate / mistrust the Shiites of Iran and have entered into some degree of an alliance with Israel for protection - hoping Israel will destroy Iran before they have nuclear weaponry). The Lord said ... "My People's time of suffering is drawing to a close ..." I seen the great Sheppard rise up from the middle of the camp and begin to sweep away obstacles / debris all around the camp borders that was hindering the camps operation and expansion. The Lord said: "I will cleanse the hearts and minds of My People so they will be able to stand before me ... that which will commemorate the reconciliation of My People to Me"
Ezekiel 11:17 - 20; 20:34 - 44; Isaiah 10:21, 44:5 - 23; Jeremiah 30; 31:31 - 34; Isaiah 35, etc. I asked the Lord what this future wilderness Kingdom or Church would like in the latter half of the final seven years on earth. The Lord said ... "For I will have compassion upon Jacob ... My Son ... he will feel My Acceptance ... My Love ... and he will re compensate Me with his"
The Lord said to me ... " I will leave nothing to chance "
I seen many of the people, both Jew and Gentile who now had become the new complete church ... each tribe was recognizable by their individual robes, each of distinct color and pattern. It was shown to me that all the colors of the twelve tribes were diffracted from one white light (Jesus). The Holy Spirit emphasized to me that all people, whether the scattered descendants from all the Tribes of Jacob or those tribes who originally stayed in Israel (Judah, Levite) or the strangers amongst them had equal stature in the site of the Lord. I noticed there was commotion amongst the people. Leaders signified by their robes were running to and fro searching our and praying for certain individual people. I felt or realized a heavy somber mood or presence was upon the Church. The Holy Spirit spoke to me that the Lord wished no one to be left behind and was prompting many to prepare all for the coming rapture from this wilderness Church or Kingdom to the Heavenly Kingdom. In the spirit realm I seen many people traveling ... coming home. The Lord likened this future event as in the past where Caesar of Augusta had put out a decree where all people were to be registered for the purpose of taxation (Luke 2). The head of each family had to journey back to his original roots where his ancestral records were kept. Many of these people will come home to their roots, to this mountain or area (The Lord's House or Kingdom) in the near future. These many people (the lost 10 tribes) are descendants of Jacob who had been taken into exile by the Babylonian Empire. When released at the appointed time their disobedience and Idolatrous ways caused God to abandon them. Only the tribes of Judah, Levi and a remnant of Benjamin went back to Israel. The remaining 10 tribes of Israel did not return to Israel but migrated north to Europe and then to North America, etc. where they live today. Soon the Lord will begin to call them out in an attempt to bring them home. I seen the Lord's Hand raised ... as a signal to stay some of the coming judgments upon the world until this migration is complete. This Kingdom or area will be the only safe refuge once the Lord's final judgments commence. The Lord said He will raise many of His people up in that day and likened them to Stephen (Acts 6:8, Rev. 7). They will be full of faith, power and do great feats. I seen them going forth in the latter half of the last week mentioned by Daniel 9, 12) ... (Rev. 6) I seen there was much destruction upon the world and these strengthened servants with the might of the Lord were going to and fro witnessing to those left upon the face of the world ... salvation and refuge from the further terror and destruction to come that culminates this time and advances the Lord's Millennium. An impending earthquake, registering 9.7 on the Richter scale devastating Turkey and countries south. The United Nations is deliberating on giving the Palestine people their own country that would be recognized by the world. Some of this land would be territory Israel obtained after the six day war including Jerusalem which made them a bonafide state, legitimate or sovereign country. As I seen this horrific scene in the spirit realm, streets were raised up like a wave of water and tall buildings literally seemingly plucked up and toppling over. The Lord said: " A Sovereign Promise Can Not Be Broken Without Retribution. I am going to come against those who come against My People. I shall rise up spokesmen, leaders across the globe on defense of My People. What is coming against some nations will cause them to be defenseless against supporting themselves (economies will be destroyed creating food shortages, etc.) Never again will they mount an attack verbally or physically against My People. I will raise the stakes against those who secretly plot to destroy My People. In the midst of their own countries national disasters will rise up to plaque, weaken and bring down their might." The Lord showed me how the people themselves are responsible for their leader's action and would receive the same discipline as their leader's disobedience against the Lord's Elect.
" Their voices will become hoarse from crying out, their stomachs empty with fear. They will feel faint, shaken by their circumstances and nowhere will they receive help, except by turning from their wickedness, back to Yahweh their God"
As we know today, Israel is being judged by the entire world for their actions, especially their dealings with the Palestinian people and factions. Today they feel pressured more than ever, trying to be political correct in all their dealings, to obtain the approval of all nations in their fight to survive as a nation. Their economy is hurting, due to the continuing fighting with faction groups (Hamas, Hezbollah, etc.) and the global economic slowdown. Countries surrounding them, all waiting to destroy them has caused an uncertainty, a subtle fear or uneasiness upon all Israelis. "They will turn back to Me, seeking My face, My help in these tumultuous times - once again My People will look to Me, because of their lack of finances, economic hardships, lack of acceptance by other nations. They will trade in their confidence in themselves, their own understanding / works and dependence on other nations. But not all My People will feel this helplessness, fear that they have sown in their lives and in the lives of their children. For My Remnant has not deserted Me. They have kept their faith in Yahweh their God. I have seen and heard their cries, and concerns. I have taken notice of their stance for Me, waiting, trusting in Me. I have placed a confidence in their hearts, so they will stand fast, being encouraged and trusting whole-heartedly in Yahweh their God. They shall be a beacon of light for others to see. This unshaken steadfast confidence, will draw others to be nourished, to once again allow their hearts to be attracted and hope in Me. Worldly nations are also being judged because they have turned their backs on Me, concerned only in their own gain, cheating Me, commitments to their countries and people, robbing the poor, widows and orphans. They and their deeds are an abomination before Me. The noise from the flourish (constantly seeking material gain) will be silenced! Their abundance shall vanish! The noise of their fever for more will be replaced with a quieting, disturbing troubled mood of uncertainty - opening the door for many to begin to ponder, wonder about their uncertain futures - quieting hearts to become aware of their Yahweh God"
The psalmist wonders why nations and people rebel against God, because there is no chance of success. The psalmist points out that ultimate judgment has been entrusted to Christ by God's declaring all power and authority has been given to His Son. The psalmist encourages us to be aware or obedient to our Lord's instructions or wishes to remove judgment from our door. These actions indicate our trust in our God and blessings shall surely follow. As the psalmist David cries out to God for mercy, the Lord's answer seems frustrated with people in general. God speaks of how man's striving for material gain is his main concern and how worthless and foolish these actions and desires are. These carnal desires turns God's glory into shame in our lives. David encourages us not to become overwhelmed with these stressful conditions that we find upon ourselves, but quietly look to God for answers and directions for all problems. David goes on to say that materialistic success does not come close to the peace and happiness ones feels when God's hand or presence is evident in our lives. The Lord alone is the only one who can keep our hearts and minds peaceful in all our present situations. The Lord's Spirit impressed upon me that the plight of His people, Israel was endangered. They are constantly turning & searching for the approval of other peoples, nations when planning & bringing their plans into action to preserve their well being as a people & nation. The Lord desires Israel to turn their backs on the other nations for their approval, which then dictates their interests & direction for Israel. The Lord wants Israel to look to Him, for their direction and protection, for only He is the protector & God of Israel. Then He will sit down with them, walk amongst them, give them solace & direction with assurance. Let us as the Church, pray for the leadership and people of Israel to look up to their God, who is well able to lead and give His people refuge. This morning the Lord's Spirit came upon me. The Lord said: "You are the protector of Israel -- a watchman on the wall." I saw myself on a high wall, looking out in the distance, looking for the enemy and his maneuvers. "Pray the water of Elijah quenches the fires in the hearts and minds of man (fanned by the devil) to wage war against My land (Israel)." I saw planes dropping bombs, etc. (the typical war scene) I prayed for Israel's protective angels to bring forth this heavenly water, to douse the embers being fanned in these men's minds and hearts. The situation is very serious. Please lift up your voices / prayers to help strengthen these angels in their plight to come against Israel's enemies. The Lord prompted me, a watchman on the wall for Israel, to pray the scales of blindness and darkness begin to fall from eyes, hearts and understanding of His people. I saw white linen, representing the righteousness and holiness of the Lord, beginning to be stained with blood. This is the Lord's blood, a sacrifice for His people. Understanding is coming to His people, likening His sacrifice of all sacrifices to the sacrifice of lambs to atone for their sins of the past. I prayed for a leader to come forth, who will invite, believe and listen to the messengers the Lord sends to them, for discernment and direction for the country. I seen at present, Israel as a man who has his feet stuck in miry clay, unable to move in any direction, but with the Lord's help, I seen the man on the rock, clean and dry, overlooking the heads of all his enemies, looking beyond with clarity the direction he must take. I saw in the Negev dessert, water wells springing up(possible artisan wells), watering the land that was being irrigated for massive gardens of produce. I sensed this new technology would create miraculously amounts of vegetables. I seen children running around, to and fro, all dressed in wedding gowns, indicating the people were beginning to accept their Lord and Savior...they were the Lord's Bride. This is the Lord's word and desire for His people. May you, as the saints, water his dream (pray), that it may grow, bloom and become a reality! There is a new wine skin of God's Design coming forth. I see this new wine spreading across the land of Israel, being spread by the spirit of God. 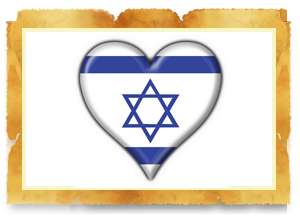 Israel is God's passion, His love and what happens in His land is a forerunner to what happens to the spiritual church, that which was grafted into His Kingdom. This new wine is going to replace the old wine, those who drink of the new wine shall see and experience the Lord in a dramatic new way, rededicating their vows and lives to the Lord. This new wine is a better way of moving people's hearts toward their God. Rivers of living water will flow from people's hearts to others, being carried by this new wine, God's Love. These last day love ministries will be a more powerful way for God to reach and reveal His Glory to the people through His different new designs or avenues, being carried forth by the power of God's Love. ©2009 - 2019 Eagle's Wings Ministries of Canada - All Rights Reserved.